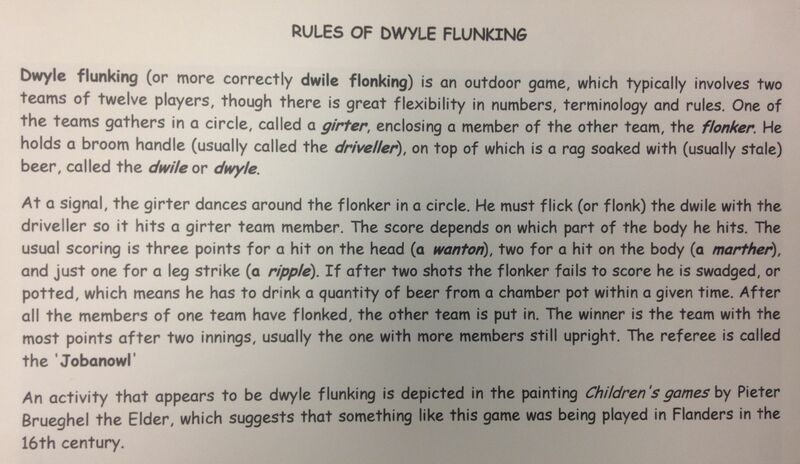 The English game of dwile flonking (also dwyle flunking) involves two teams of twelve players, each taking a turn to dance around the other while attempting to avoid a beer-soaked dwile (cloth) thrown by the non-dancing team. “Dwile” is a knitted floor cloth, from the Dutch dweil, meaning “mop”, and “flonk” is probably a corruption of flong, an old past tense of fling. 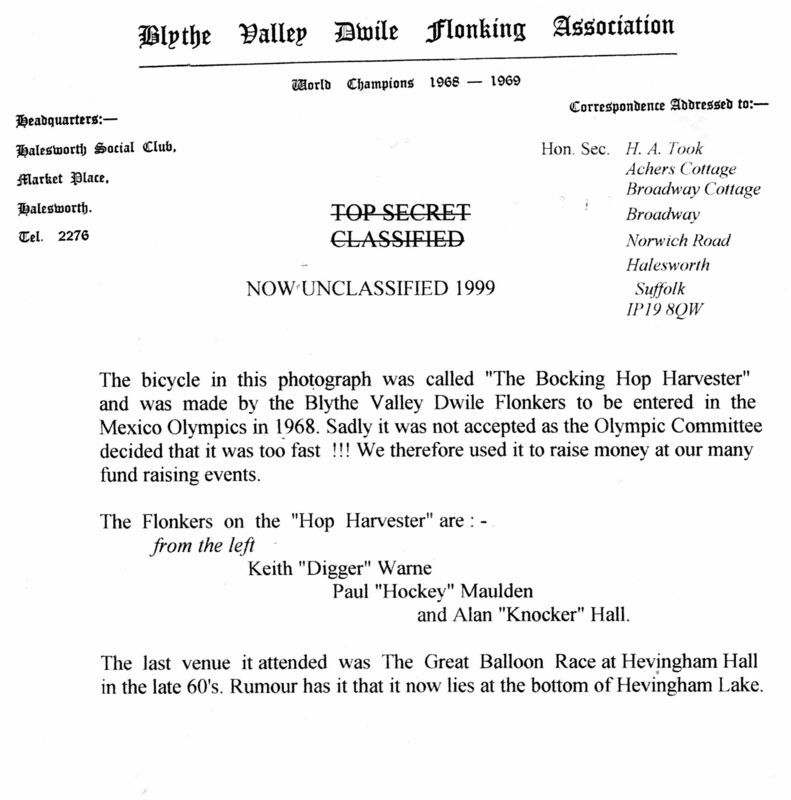 Dwile flonking featured as a key element in legal hearings, when assessing an application for a licence extension to cater for the dinner dance of the Waveney Valley Dwile Flonking Association. 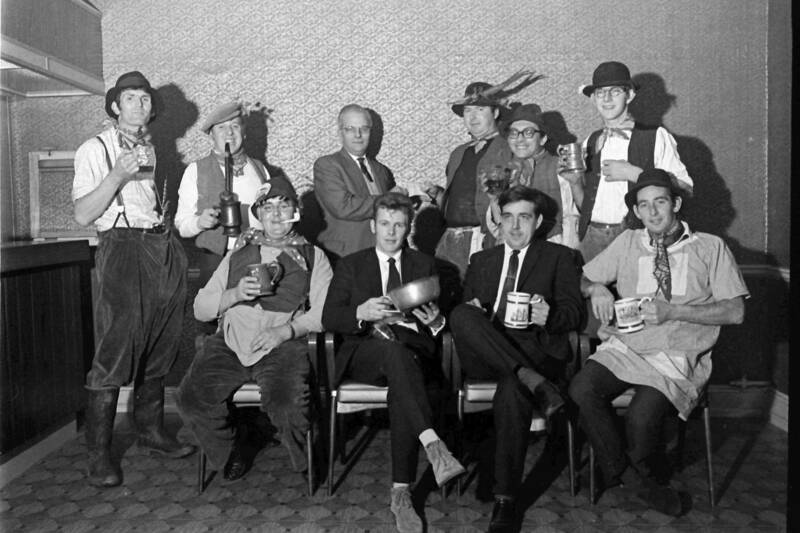 The Waveney Valley Dwile Flonking Association went on to make their television debut on The Eamonn Andrews television programme in 1967. A pewter trophy in the style of a chamber pot. 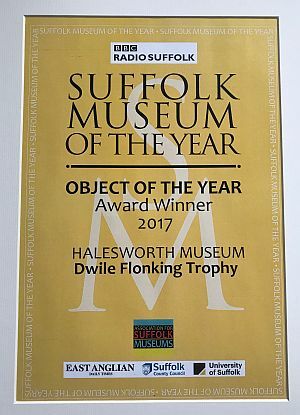 This was awarded to the winners of the ‘ancient’ Suffolk game of dwile flonking. The pot is slightly damaged because it was used in the game when a flonker, who has swadged, consumes the ale in the pot. This is because he has failed hit any of the men standing in a circle with the dwile ˗ an ale soaked dishcloth. 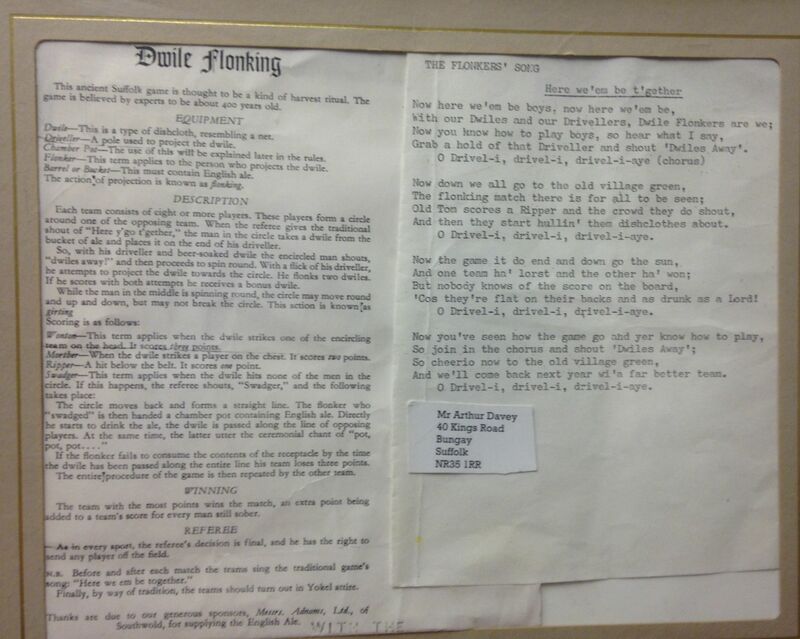 The winner between 1968 and 1970 was the local team known as the Blyth Valley Dwile Flonker, who were then allowed to retain this trophy and donated it to the Museum in 2012. A picture from the Robbie Page collection (RP 4-114-1-C). 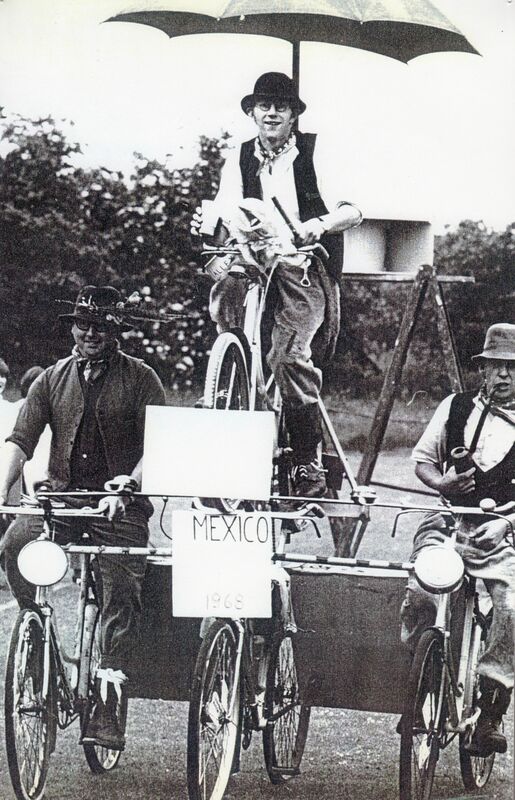 Made by the Dwile Flonkers for the Mexico Olympics 1968 (refused entry). 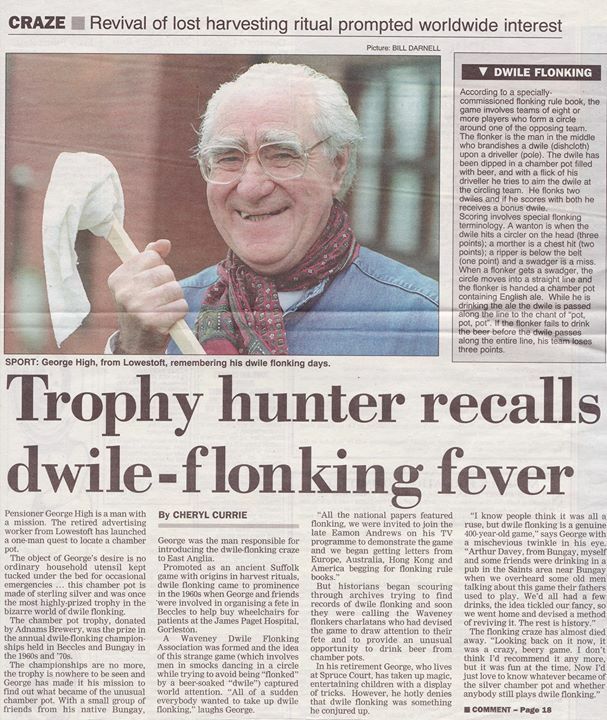 Eastern Daily Press, December 1998.